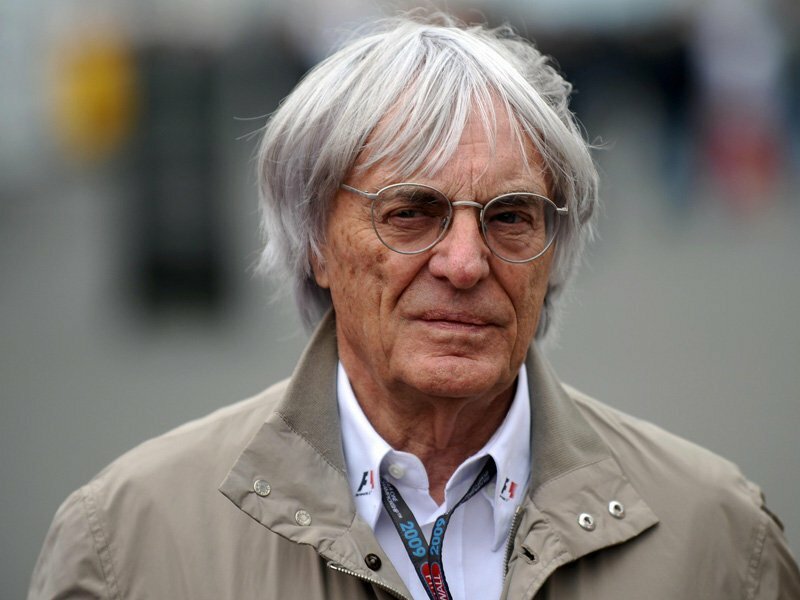 Home Tags Posts tagged with "bernie ecclestone"
Liberty Media is buying the racing business Formula 1 for $4.4 billion, the company has confirmed. The announcement ends years of speculation about the ownership of Formula 1. Bernie Ecclestone will remain as chief executive but Chase Carey, vice-chairman of 21st Century Fox, will become the new chairman. Liberty Media has also stakes in several sports and entertainment businesses, including the Atlanta Braves Major League Baseball club. Owned by the billionaire John Malone, Liberty Media will initially purchase a minority stake in the world’s leading motor-racing championship. A full takeover is planned if regulators approve the deal. The total transaction values the firm at $8 billion but includes $4.1 billion worth of F1’s debt. Liberty Media is buying the stake from the private equity firm CVC Capital. CVC has held a stake for the past decade but sold some of its holding in 2012. The private equity firm has been criticized for taking considerable profits from the sport, which has suffered from falling TV ratings in recent years. “We are excited to become part of Formula 1,” said Greg Maffei, chief executive of Liberty Media. Earlier, the 85-year-old British businessman said in an interview with Reuters that he had been asked to stay on for three years and would miss the Singapore Grand Prix on September 18 as he needed be in London for the negotiations. Bernie Ecclestone has run the sport for 40 years. Formula 1 boss Bernie Ecclestone will make a $100 million payment to end the bribery trial. Bernie Ecclestone’s offer was based on an existing provision in German law. Earlier on Tuesday German prosecutors accepted the offer from the 83-year-old billionaire who dominates motor racing. Bernie Ecclestone went on trial in April, accused of paying a German banker 33 million euros ($44 million) to ensure that a company he favored could buy a stake in F1. The ruling means he walks free from the district court in Munich and can continue running the sport. It also means Bernie Ecclestone is found neither guilty nor innocent. His personal wealth is put at $4.2 billion by Forbes. If found guilty, Bernie Ecclestone could have faced a 10-year jail term and the end of his decades-long dominance of motor racing. A BayernLB banker, Gerhard Gribkowsky, was allegedly paid by Bernie Ecclestone to ensure the F1 stake was bought by a company that he favored, so that he would remain in charge of the sport. Gerhard Gribkowsky was sentenced to 8 and half years in prison in 2012 for accepting bribes. Bernie Ecclestone says the payment was given to Gerhard Gribkowsky after the banker threatened to make false claims about the F1 boss’s tax status. Prosecutors said Bernie Ecclestone’s advanced age and other mitigating circumstances gave grounds to accept the $100 million offer. Bernie Ecclestone has attended most of the hearings in person and arrived at the courthouse on Tuesday in a limousine, looking relaxed and accompanied by his wife, Fabiana Flosi. Judge Peter Noll ruled that $99 million would go to the Bavarian state coffers while $1 million would be donated to a children’s hospital. The sum is believed to be a record for such a payment. Court spokesperson Andrea Titz said Bernie Ecclestone: “The court did not consider a conviction overwhelmingly likely from the present point of view. Under German law defendants can in certain circumstances “buy” termination of a trial. The legal proviso exists in order to ease the burden on the courts and to deal with cases where reaching a judgment could prove difficult. However, a lawyer quoted by the Spiegelonline website, Franz Bielefeld, said it was unusual for the clause to be invoked in mid-trial – more often it is done before a trial starts. Formula 1 boss Bernie Ecclestone is ready to pay a German bank 25 million euros ($34 million) to settle a court case against him, his lawyers have said. 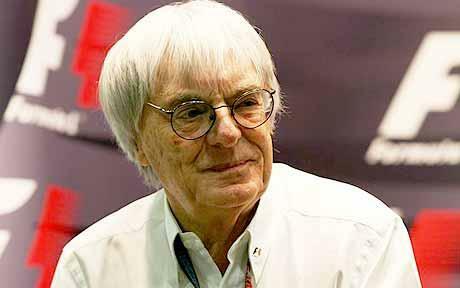 Bernie Ecclestone, 83, went on trial in Munich in April, charged with bribery and incitement to breach of trust. He is accused of paying a German banker 33 million euros to ensure a company he favored could buy a stake in F1. If found guilty, Bernie Ecclestone could face a 10-year jail term and the end of his decades-long dominance of motor racing. On Tuesday, Bernie Ecclestone’s defense team called for proceedings to be stopped because of a lack of evidence and said the F1 chief was prepared to pay a settlement fee. Sven Thomas, one of Bernie Ecclestone’s lawyers, was reported as saying that state prosecutors were open to the proposal but said they would have to review it in detail. Under German law, prosecutors may withdraw charges during certain criminal trials if all parties agree to a settlement. In a statement, the court said talks between prosecutors and the defense team “on a potential early end to the proceedings have not yet reached a conclusion”. It did not confirm details of Bernie Ecclestone’s settlement offer. Gerhard Gribkowsky, the BayernLB banker Bernie Ecclestone is alleged to have paid, was sentenced to eight and a half years in prison in 2012 for accepting bribes. The prosecutors say Bernie Ecclestone wanted to ensure the F1 stake was bought by a company that he favored so he would remain in charge of the sport. Bernie Ecclestone says the payment was given to Gerhard Gribkowsky after he threatened to make false claims about the F1 boss’s tax status. He has run the sport for almost 40 years, turning it into a huge global commercial success. Bernie Ecclestone is the long-time commercial rights holder of F1, but sold off a majority of the ownership in the 1990s. Bernie Ecclestone has appeared in court at the start of a trial on bribery charges in Munich, Germany. The Formula 1 boss is accused of giving a $45 million (33 million euros) bribe to a German banker to secure the sale of a stake in the F1 business to a company he favored. Bernie Ecclestone admits paying Gerhard Gribkowsky, who is serving a jail sentence for receiving the payment, but has denied any wrongdoing. He continues to run the F1 business on a day-to-day basis despite the charges. To alleviate his workload, however, Bernie Ecclestone has stood down from a number of F1-related positions until the case concludes. Correspondents say that he appeared relaxed as he consulted with his lawyers on Thursday ahead of the proceedings. German prosecutors allege that he bribed Gerhard Gribkowsky, who was on the board of Bayern Landesbank, to ensure that F1 was sold to a private equity group of Bernie Ecclestone’s choice. The allegation is that by securing the sale of the stake to a company Bernie Ecclestone favored, he would remain in charge of Formula 1 and its commercial rights, broadcast payments and sponsorship deals. Bernie Ecclestone, 83, admits paying Gerhard Gribkowsky, but says he was effectively the victim of blackmail. He has said the banker had been threatening to reveal false details of his tax affairs. 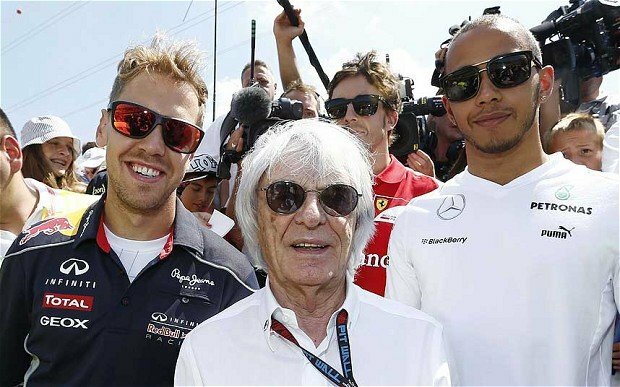 If convicted, Bernie Ecclestone – one of Britain’s richest men who transformed Formula 1 into a lucrative sport watched by 450 million TV viewers globally – could face up to 10 years in jail. Gerhard Gribkowsky has been found guilty of corruption, tax evasion and breach of trust and is serving an eight and a half year prison sentence. Bernie Ecclestone testified during Gerhard Gribkowsky’s trial in 2011, and the former German banker is expected to be the main witness during the F1 chief’s trial, which is scheduled to last until September. 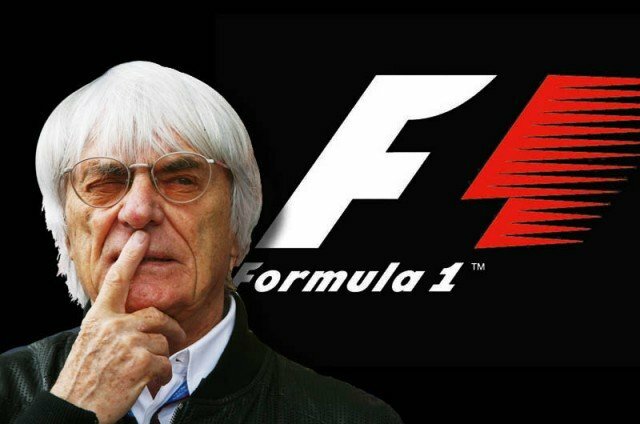 In February, Bernie Ecclestone won a civil case in London’s High Court brought by a German media company, which claimed it lost out financially when the share of F1 belonging to German bank Bayern Landesbank was sold in 2006 to private equity group CVC. While the judge rejected a damages claim from Constantin Medien against the F1 boss, Bernie Ecclestone was ordered to pay $4 million in legal fees. Bernie Ecclestone has decided to step down from the board of the company which runs Formula 1 following his indictment on bribery charges in Germany. However, Bernie Ecclestone, 83, will continue to run the business on a day-to-day basis, Delta Topco said in a statement. Bernie Ecclestone will go on trial to face allegations he bribed German banker Gerhard Gribkowsky who is serving a jail sentence for receiving the payment. He admits paying Gerhard Gribkowsky, but denies bribery. The board of Delta Topco met on Thursday and were told by Bernie Ecclestone that he intended to vigorously defend the case, which will commence in late April. A statement read: “After discussion with the board, Mr. Ecclestone has proposed and the board has agreed that until the case has been concluded, he will step down as a director with immediate effect, thereby relinquishing his board duties and responsibilities until the case has been resolved. “The board believes that it is in the best interests of both the F1 business and the sport that Mr. Ecclestone should continue to run the business on a day to day basis, but subject to increased monitoring and control by the board. German prosecutors have accused Bernie Ecclestone of giving a $45 million bribe to Gerhard Gribkowsky to ensure F1 was sold to a private equity group of his choosing. Bernie Ecclestone will be tried on bribery charges, a court in the German city of Munich has ruled. 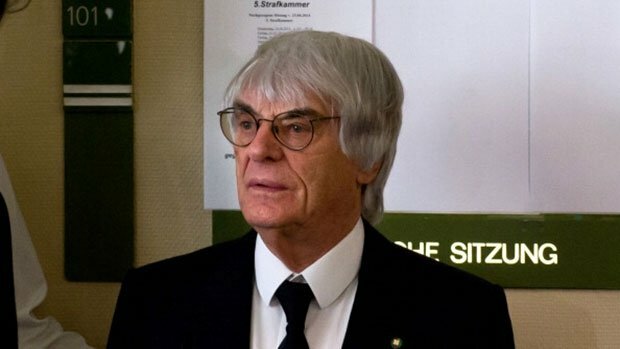 Formula 1 boss Bernie Ecclestone is accused of giving a $45 million (33 million euros) bribe to a German banker who is serving a jail sentence for receiving the payment. Prosecutors allege that the payment was to ensure that F1 was sold to a private equity group of Bernie Ecclestone’s choice. He admits paying Gerhard Gribkowsky, but denies bribery, saying he was effectively the victim of blackmail. Bernie Ecclestone has been defending himself in a separate $147 million civil claim in London’s High Court. That case was brought by a German media company, Constantin Medien, who claim they lost out financially when the share of F1 belonging to German bank Bayern Landesbank was sold in 2006 to private equity group CVC. 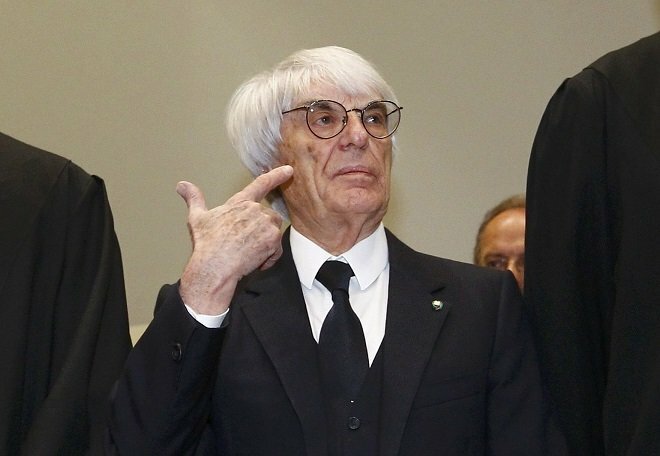 Bernie Ecclestone and Gerhard Gribkowsky, who was on the board of Bayern Landesbank, were accused in court of conspiring to deliberately undervalue F1 when it was sold, in order that Ecclestone would retain control of the sport. The F1 boss told the High Court that he made the payment because the banker had been threatening to reveal false details of his tax affairs. A statement from Bavaria’s district court said that a trial date for the criminal trial had not yet been set, but that proceedings were likely to begin in late April. Bernie Ecclestone is charged with bribery and incitement to breach of trust and will be obliged to appear at his trial. The court statement says that the payments made to Gerhard Gribkowsky were dressed up as consultancy contracts, and that both their source and their destination were obscured using corporate structures. The payments were made between July 2006 and December 2007, it says. Bernie Ecclestone’s German lawyer said on Thursday that the alleged bribery never took place. 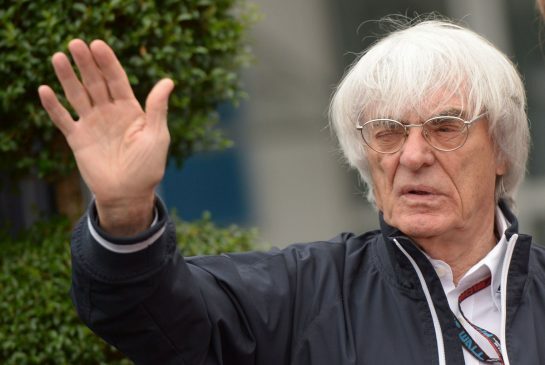 Formula 1 boss Bernie Ecclestone has been indicted by German prosecutors on a bribery charge. The charge relates to a $44 million payment to a German banker, Gerhard Gribkowsky of Bayern Landesbank. It was linked to the sale of a stake in F1. Bernie Ecclestone said he had paid Gerhard Gribkowsky to avoid a UK tax inquiry into the sale of Formula 1 in 2006, but denied the payments were bribes. Gerhard Gribkowsky was sentenced to eight-and-a-half years in jail in Munich. Bernie Ecclestone said it was “inevitable” that the indictment had been served. “If someone wants to sue you, they can do it and you have to defend it,” he said. In 2006, Gerhard Gribkowsky was in charge of managing the sale of regional bank BayernLB’s 48% stake in Formula 1 to private equity firm CVC Capital Partners, which meant the firm owned most of the sport. CVC has since reduced its stake in a series of deals. In evidence to a Munich court in June last year, Gerhard Gribkowsky admitted that prosecution claims he had corruptly received $41.4 million in bank commissions, and a large payment via a family trust from Bernie Ecclestone, were “essentially true”. In his testimony, Bernie Ecclestone said he had been worried that if he had not paid the money, Gerhard Gribkowsky would have alerted the UK tax authorities to “things” that might have led to a tax inquiry. “The only alternative was that the British tax authorities followed a case that would have been very expensive for me,” said Bernie Ecclestone at the time.